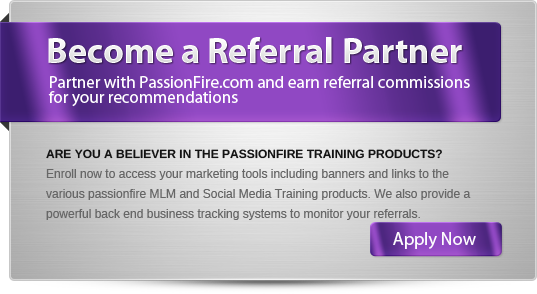 Thanks for your interest in our Referral Partner Program. Please review the information below. The Affiliate Program is a Single Tiered Program. You will be paid 50% for any of our digital products and 30% for any of our CD’s and books for any sales that are generated through your referrals. * Please be aware that affiliates will not be paid for their own purchases through their affiliate id. This is not considered a referral. Any commissions that appear to be related will be voided. **This is grounds for dismissal from our affiliate program. We verify all orders. If you are a US citizen you are required to fill out a W9 form for earnings of more than $600 in a single year. To make everyone’s life easier, we need you to fill out a single W9 form prior to our releasing any commissions to your account and fax it along with a valid photo ID. This is a vital step for everyone to avoid dealing with the IRS.